Bloomberg will launch its new 24-hour Twitter-based streaming news channel, called TicToc, on Dec. 18, according to a promotional video published to the platform. 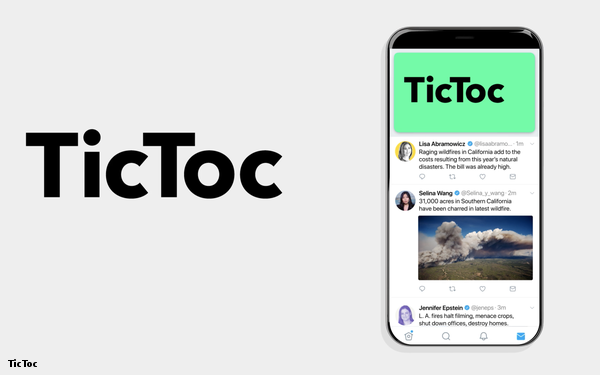 TicToc will be available exclusively on Twitter and will incorporate tweets into its programming. The streaming channel was first announced in May as a partnership between Twitter and Bloomberg. Since that time, the company has hired a few dozen people to work exclusively on the channel. It will also call on the services of Bloomberg’s global newsgathering resources and staff. Bloomberg will use these resources to verify and amplify accurate information from Twitter, which often features conflicting and unverified information in the aftermath of major news events. Executives from Bloomberg and Twitter have been touting its virtues over the past few months at industry conferences and events. In an interview conducted by Digital News Daily at the New York Media Festival’s Future of Television conference, Bloomberg’s global head of digital M. Scott Havens said the streaming channel would avoid traditional TV-style advertising breaks. The focus instead will be on branded and sponsored segments, and on newly developed video ad formats. In other words, expect TicToc advertising to resemble streaming business news service Cheddar: sponsored segments and the occasional incorporation of brands into editorial segments, such as an interview series conducted in a Volvo. While Cheddar is focused on making itself available as a channel on streaming bundles, programming on Twitter and other social networks, Bloomberg’s TicToc is going all-in on Twitter.